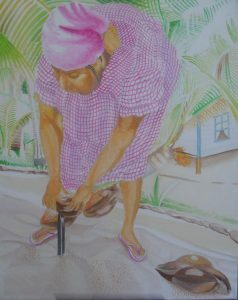 City Lights Art Gallery, 3 E. Army Street, Henderson, NV presents folklife scenes from a vanishing way of life in Belize by native Garifuna artist, Greg Palacio. A Meet the Artist reception is scheduled for Saturday, July 18th from 1 – 4 pm. The reception will also feature Lirahunu Satuiye, a CA high school musical ensemble performing Belizean music as well as the enticing Belizean cooking of Chef Lally. Greg Palacio’s body of work most often reflects the everyday life of his Garifuna people of former British Honduras, Belize. Spending his early years in Dangriga Palacio developed a strong sense for his cultural heritage and traditions. 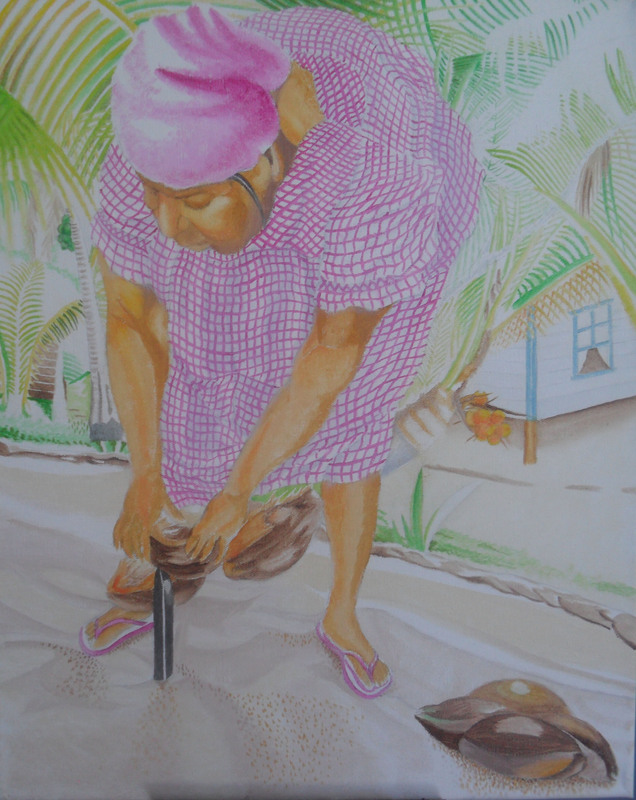 Palacio’s unique paintings in watercolor, acrylic, pencil and oil have helped to preserve the Garifuna culture. Although he most frequently paints the world in which he grew up, his work also includes portraits of Nobel Peace Prize winners and the ills of today’s society. City Lights Artists’ Co-op is very proud to present the unique and purposeful artwork of this talented artist! Art Classes in watercolor, acrylic, abstract water media, oil and drawing are currently being offered! Aspiring artists or those simply looking to refresh their skills are welcome. Established in 2003, City Lights Artists’ Co-op is a non-profit 501(c) 3 entity. We fund scholarships awarded to local students with aspirations in the world of art. Tax-deductible donations are accepted.